The researchers analysed 76 different pesticide residues from 317 topsoil samples. Alarmingly, 43 of the 76 pesticide residues tested were detected in the soils. 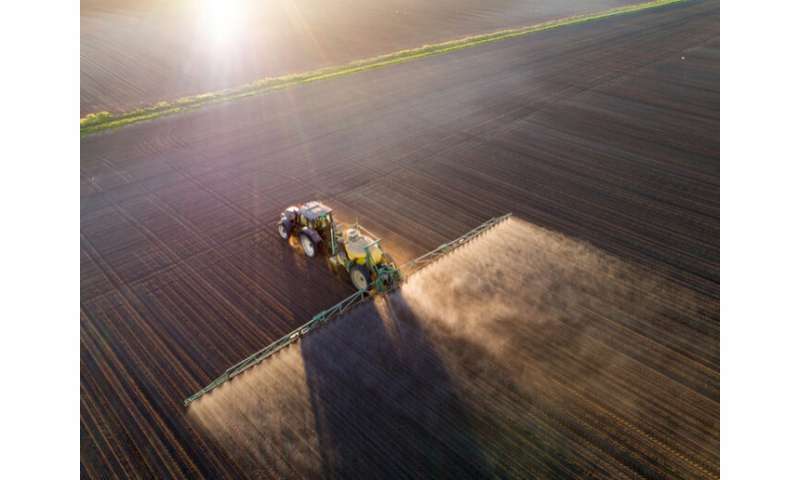 "Considering that we tested <20% of the active substances currently approved in the EU markets, pesticide residue occurrence in soils might actually be higher," the authors state. The selected samples originated from soils used in the production of cereals, permanent crops, root crops, non-permanent industrial crops, vegetables, and dry pulses, flowers and fodder crops. Soils from root crops revealed a much higher pesticide residue content than those from other crops. In fact, all of the tested root crop soils contained pesticide residues, with 85 percent of them containing multiple residues. The content of pesticide residues occasionally exceeded their predicted environmental concentrations in soils, but nevertheless remained below threshold values for soil organisms set by the European Food Safety Authority. But there's still reason for concern, since the methods used to determine the threshold values are inadequate. "To get a pesticide approved on the market, only five soil animals and two bacteria groups are tested. But in the soil we have more than one million species," says Prof. Violette Geissen of project coordinator Wageningen University, the Netherlands, in a video posted on the iSQAPER website. "The others are all not tested on the effects of pesticides. What actually is tested is much less than 1 percent. Furthermore, mixtures of pesticides in the soils are not tested. Different pesticides can interact in the soils; together can have synergetic effects on others. Nobody knows."